Work for Asana for G Suite? Learning about Asana for G Suite? "My basic review for G suite - 80% for it - 20% unsure"
It is everything you need in one place. from accessing my files and team files from pretty much anywhere to all the project management tools needed to make a project run smoothly and efficiently. There's also a level of confidence with Google because we know our data is safe whilst keeping in touch with colleagues from anywhere and anytime. The Vault feature is also very nice. Superb mobile device management - i personally love this feature. It gives me just the right amount of control i require. Storing files is generally easy and user friendly but sometimes i've noticed that finding them can be difficult. This may not be googles fault per say but more encompassed around we segment our files. Otherwise it works fairly well and fulfills our business needs. 30 GB of storage per a user seems good but could be improved in time even though upgrading to business gives us unlimited storage - perhaps cater for the individuals as well. non at this point - as time progresses and we spend more of our time using g suite, some recommendations should pop-up as per usual. But, so far - so good! The advanced admin settings and the 24/7 support is a big help and inherently solves some of our business should we need assistance with the specifics. The data migration is also made simple and seems to be secure and fast - Im yet to find any faults with it. Apart from that - the efficiency behind G suite is so flawless that it contributes towards making our business model more efficient as well. "Great in theory, but still room for improvement." This is a great add-on for Gmail, and it makes team communication for projects so much more efficient and organized. It allows for the tracking and planning of tasks from within the emails themselves right from your Gmail dashboard. I am unsure if it is just my own experience or if it is a widespread issue, but there have been times where the sidebar is not showing properly, if at all. I believe this may just be due to my recent switch over to the new Gmail layout, and I am sure Asana will fix it accordingly. In addition, it would be so much better if I were able to create new tasks for Asana projects right in emails rather than just tracking them or adding them to my calendar. If you value organized teams for your projects, you will not regret installing this add-on. While managing and producing film projects, communication and organization are key to success. I have tried several project management tools, and Asana wins by far. Upon installing this Gmail add-on, I have saved so much time by being able to plan and manage tasks for my creative team. My team has also taken a liking to this tool as they are more likely to pay closer attention to emails from me with tasks from Asana, rather than email notifications directly from Asana. 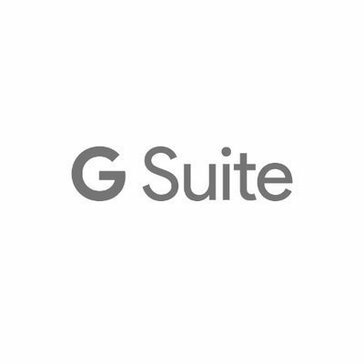 What G Suite Project Management solution do you use? Crear tareas y asignarlas desde el correo electrónico en menos de un minuto. Cuando tienes muchos equipos y has tenido muchos proyectos, encontrar el proyecto adecuado en el listado es casi imposible. Es muy importante a la hora de implementar una solución como esta, alinear muy bien al equipo de trabajo con el fin de que realmente puedan usarlo como una herramienta que fortalezca sus relaciones y el trabajo en equipo. La mentalidad del equipo de trabajo es clave del éxito en el uso de esta herramienta. Básicamente Asana es una herramienta muy útil para la planeación y seguimiento de actividades. En mi empresa no existen jerarquías, así que es muy útil a la hora de trabajar en equipo, es como pasarse el balón de uno a otro hasta anotar un gol. Tener esta herramienta desde el correo electrónico de cada uno de los empleados de la compañía brinda una agilidad única a la hora de avanzar en la ejecución de proyectos, en especial cuando entran en juego nuevas variables a través de interacciones por email. "Seamlessly links through G Suite"
Asana has been the best solution I have found and meets all our task and project management needs. Asana as a whole is the best solution I have found that easily manages tasks for groups and tasks of any size. The ability to link it with G-suite allows instant calendar integration as well as instant email notification and google drive access of files and folders. It has streamlined our processes and helped to eliminate the majority of a task's email needs. I enjoy the fact that I can take a bunch of emails from bills that need to be paid, to upcoming test and turn everything into a to-do list or task that need to be completed. I have 3 other people working with me on the Online Magazine we created and we all use G-mail. So assigning certain things is a lot easier. This helps us all stay in Sync, no pun intended. Well, sometimes the sidebar shows up, and sometimes it doesn't I guess that is a bug within the application that needs to be worked out? It is a very useful collab. and reminder tool. I can stay on task with my fellow employees and since we have been using this app. I have really not fell behind in anything. We love it! The icon displaying next to opened emails takes a lot of screen real estate, since its the only Gmail extension that I use. Its just a big white pillar with one icon. Probably not Asanas fault unfortunately. Download it if you love extensions or are crazy about Asana like I am. Otherwise just wait a half year or something and I'm sure there will be enough features to make Asana G Suite worthwhile. I would say it's worth it already if you have trouble remembering to get to things people tell you to do via email. In fact I think this will eventually be a great app to use alongside Boomerang to never forget important email stuffs. I dont forget to do things assigned to me via email requests but not posted to asana, saves me the trouble of tab surfing and copy pasting. Could use a timeline chart. Hourly breakdown of employee rates for cost tracking by hour and project. Summary reports spanning multiple projects would be useful. Great for small project tracking, task assignments in departmental groups. Not robust enough for organizational wide project management. Manage smaller internal projects amongst staff and mobile workers. Keep everyone assigned to project up to date with progress instead of using emails to communicate tasks/completion updates. "Affordable Project Management in the Cloud"
I like the most the multitude of integrations and that it has a mobile app. Secondly it is quite simple to learn and use. The interface could use some more polish, it can feel clunky at times. Organizing tasks, manage projects, collaborate with team members. The ability to streamline the creative process in production. It can be a bit buggy at times, sometimes causing my browser to crash. Asana is a great tool that will be a huge benefit to streamlining your process. There is a bit of a learning curve, but once you get over that, it's great! Efficiency. Asana allows us to streamline the process and assign the necessary tasks to the appropriate people. It also helps us track the progress of more projects than we could before when we just used emails. "Makes organizing and keeping on task easy"
It helps me stay organized and see what my team is working on. Sometimes it is hard to search or find past projects. Easy to use, keeps you organized, free or affordable pricing available depending on the number of users. It helps our team communicate. We are able to know keep up to date on what tasks need to be completed, what should be completed and when as well as attach files and links within the software so we can do everything in one space. "Helpful idea but still a little confusing"
I like combining two very helpful applications into one. Makes managing tasks as well as the emails that are relevant into one system. User details are sometimes hard to follow. how do you create a new task in an email? How do you add new followers? Etc. We are sending fewer emails and focusing on more time to work. I like how it is integrated with Google Gmail, making it accessible when you need it most. Very plain and minimal. Only has like the task and due date. Very similar apps found everywhere, needs something else to make it stand out and work for very small teams too. It seems helpful for solving communication and collaboration, when you have a lot of people on your team. "Doesn't Integrate. What's the point?" I love Asana, but for G Suite, all it does is direct you to Asana. Where is this integration? It doesn't integrate with G Suite so it's absolutely pointless. The fact that it's not as advertised. Stick with regular Asana. If you're expecting it to be integrated, it's not. Ensuring everyone is on track and can track projects at every step. "Best tool for task management!" This tool has helped our company to organize, manage tasks, and collaborate. We have used manual tools to setup tasks such as excel sheets, but this tool pretty much helped is organize and drop tasks in one single repository. I like that you can assign tasks and keep everything organized. The notifications will keep emailing you even though you have completed the task. I am completing assigned tasks. Love how you don't have to open up another webpage to stay up to date. Could be more fluid and have more features. * We monitor all Asana for G Suite reviews to prevent fraudulent reviews and keep review quality high. We do not post reviews by company employees or direct competitors. Validated reviews require the user to submit a screenshot of the product containing their user ID, in order to verify a user is an actual user of the product. Hi there! Are you looking to implement a solution like Asana for G Suite?